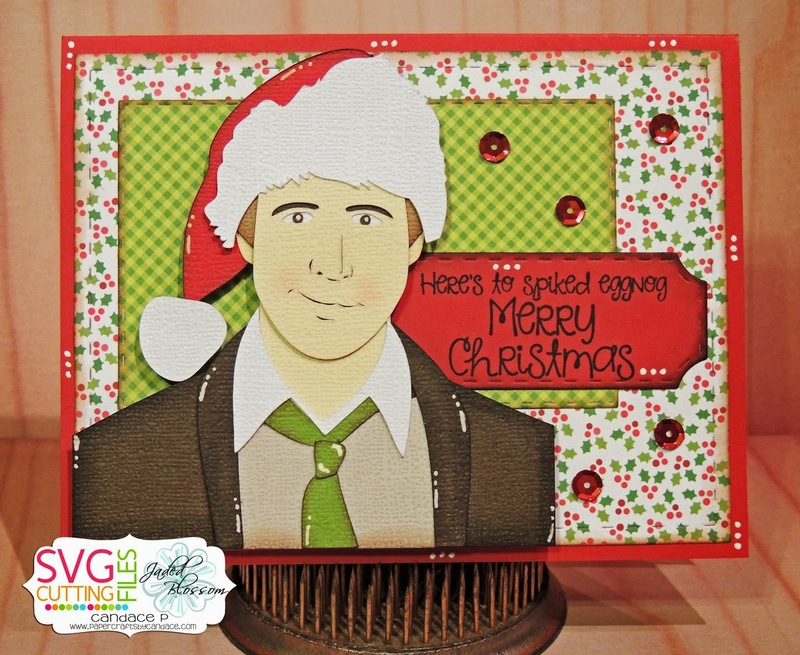 Paper Crafts by Candace: Christmas Movie Blog Hop! Welcome to the Christmas Movie Blog Hop! 48 hours long and ends PROMPTLY at 11:59 PM PST Saturday! You can earn the free SVG files being showcased by our talented DT by following the guides below! There are 10 in total. 2- Leave a comment on each blog to show some love for the inspiration you have just seen! Remember 10 stops, so that means 10 comments in total! 3- Click on the REQUEST FILES button that will be located on ONE of the stops along the way. Fill out the form provided and WAIT until you are verified BEFORE closing out your window. YOU WILL NOT RECEIVE ANY FILES. And now for my project! Christmas Vacation is my FAVORITE Christmas movie so of course I had to make something using Clark! 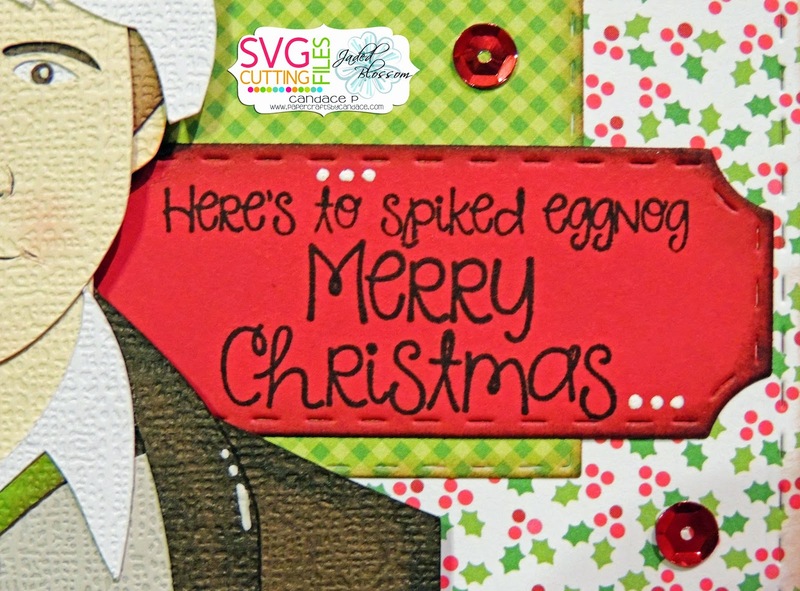 For the sentiment I combined two stamps from Jaded Blossom on Bah Humbug and Christmas Signs. Thanks so much for hopping along with us! 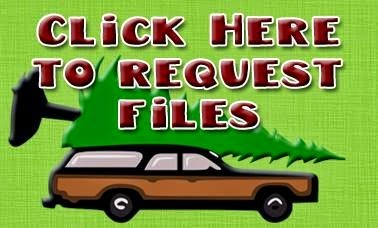 Click the image below to request your files! Don't Fret...you can't get lost on this hop with our fool proof line up below!! Wow.. it's like looking at a photograph the details on his face are perfect. Love it! This has been a wonderful hop! Lovely projects all around! Wow -- what a great Clark!! Holy moly! He looks just like the real thing! Amazing work! Clark was the bees knees! Guaranteed to hurt your stomach watching his movies! Love your card!! Awesome job. Wow the face is amazing. Haven't seen this movie but really nice project. Wonderful card. The face looks so real. Thank you for sharing. Have a wonderful crafty day. I just knew you would be making something from this movie!! Great job Candace!!! I love it, one of my fav movies. Wow, what a fabulous face. Christmas Vacation is my very favorite movie. Love Clark! This is the best svg cut yet! Looks exactly like him! Love Clark!!! Awesome job and thank you so much for sharing your awesome talent. Love your card and clark looks awesome!!! OK, I did the hop, loved it! Filled out the form and waited to be verifies. After a minute or two it took me to a products page. Waited almost 5 minutes and nothing happened. What gives? It's never worked like this before. Oh wow! This one's amazing! OMG. love the saying and wow it looks so like him! That looks exactly like Clark! Great job! These are amazing. My fav movie of all time. This is my one of my favorite movies...love the Griswolds. Candace, your projects always look so darn perfect!! Love Clark and this movie. TFS! Amazing! Love this movie! Great job! Wow, I am blown away with the details on this one. Awesome. One of my favorite movies.. Awesome job!! Well… this is perfect!! I love Clark!!! Great job! Wonderful job. So very true to Life. The Griswold's crack me up. So detailed! I can't get over how life like this is! So Awesome! Woohoo! Spiked eggnog! Great one! This is SO freaking cool! I can't believe how cool of a cut Clark turned out to be! The detail of Clark Griswold is AMAZING! Thank you for sharing your project. So fun!! Thanks for the fun hop and the free files!! So lifelike! I love your work. This one is my favorite!!! love Christmas Vacation! i really need to rewatch all my christmas movies again. hoping the kids will watch too. Nice card. I love the font on the stamp. Thanks for sharing. This is great to make for my son. He is crazy about eggnog! Wow! Fabulous designing. Thank you. I am totally blown away by all the great things on the blog hop. All done so well and so CUTE! I'm loving this Clark...DH and I watched this (again) just last night!! Love your shading on him. Great movie! It will bring back memories for everyone. Your card is great, love that you made him in front of everything. just saw this last night!!!! Clark is SPOT-ON, and the sentiment is great too! Amazing detail to the cut! This is an awesome project! You did an awesome job capturing Clark. The face on this is awesome! Great job! LOVE IT!!!! great job on Clark. this is a favorite movie in our house (without the kids) love the detail!! I really like this one!! Wonderful and so realistic. Thanks for sharing. This has a great phrase on it. I love the card. Amazing job! Love how real he look! This is fabulous. Thanks for the great hop. Awesome! He looks so good!! Yay, you couldn't have a Christmas movie hop without Clark! You gotta have your Clark! Very clever card. Loved the hop. Wow! Check out the detail in that cut! Very nice! Amazing how realistic he looks! Saved the best for last...LOVE Clark and what you did with him! the topping on the cake! Love it. This is awesome! Love it!!! OMG looks so much like him. I love that movie. One of our favorite movies! Love the colors of the card. I am losing my mind! This is so crazy awesome. Every branch of my family tree is getting a Clark card this year. Thank you so much! And I already had cards done. Who cares?! I am making new ones. Wow!! You sure nailed the face!! Awesome! Holy cow!, that is amazing. I feel like i'm looking at the real person. Great job! So detailed. Thank you everyone for the great hop! I hope mine turns out just as nice! it looks just like him - what a great job! wow...this is awesome!!! what a likeness!! Great job on the card! Love the saying and the colors used! omg I love this! so need to do this for my hubby! OMGosh. He looks amazing. Very lifelike. Clark tries so hard doesn't he?? Clark is the best! Good job! Wow that looks Amazing. So cool. Looks just like! Great Job! Wow! The detail is awesome! Fabulous image to go with that adorable sentiment. Love your card. Awesome!! I can't wait to use this one! oh Clark! What a fantastic hop! OMG, this image is just amazing!! Wow - what a knockout job you did on this. Looks just like Clark Griswold! AHHHHHHH MAZING GRISWOLD CARD! Must make this for my dad to go with the Cousin Eddie bag! Love love Christmas Vacation. I love the sentiment. Hahaha. Thanks so much for sharing. My favorite movie by far!!! Love Clark! What a great Clark! Thank you. Your details are amazing. I got so lost in them that I had to go back and check out the papers used. Awesome job! Clark came out fabulous. this detail is awesome, Love Love Love! SVG Cutting Files: Nuts for you! SVG Cutting Files Monthly Challenge! Jaded Blossom Goody Bag Die Release blog hop! Jaded Blossom Goody Bag Die release day 2! Jaded Blossom Die Release & New challenge!